A few short weeks ago, the summer couldn’t come soon enough; now, it seems to have arrived all at once. As the struggle to install last year’s air-conditioning unit in time for this weekend’s 90-degree weather begins, a bigger battle has already been waged against the 100 percent humidity that has currently befallen us. But you needn’t look any further than Fendi Cruise Collection for a quick fix. 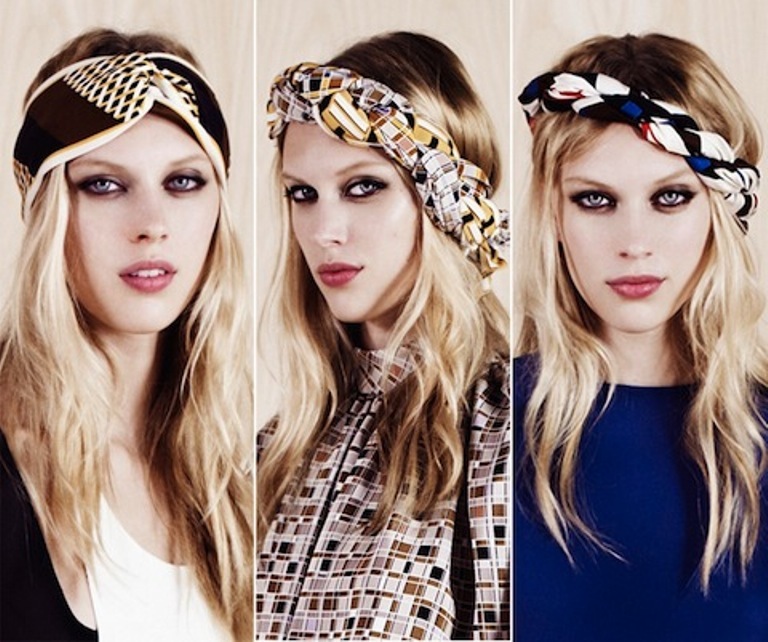 Consider the humble hair wrap, which Juliana Schurig models not one, not two, but three different ways for Silvia Venturini Fendi and Karl Lagerfeld’s latest collection, and which keeps hairline fuzz comfortably—and stylishly—at bay. Via Style. I’m loving this weather! Thank you for the fashion ideas post. I’ll try it! Summer 2013 is already looking fabulous thanks to your post. I love it! Hair wrap is a must these days. Need a few of the hair wrap. It’s perfect for any style. Great post!